The Johnson 40-6705 One-Sided Laser Detector quickly and accurately locates the laser signal from any red beam rotary lasers even when the beam is invisible to the human eye. 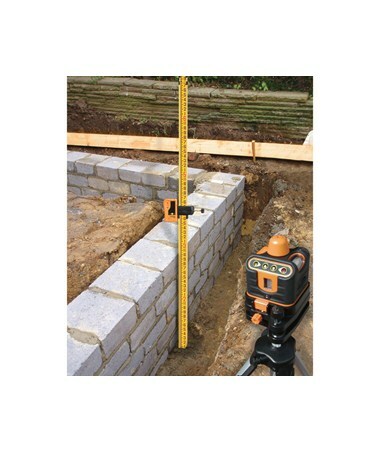 Designed for outdoor use, this laser receiver detects with an accuracy of either ±1/16 or ±1/8 inches. It also features audible and visual LED indicators, but no LCD screen and clamp for easy mounting to grade rods. 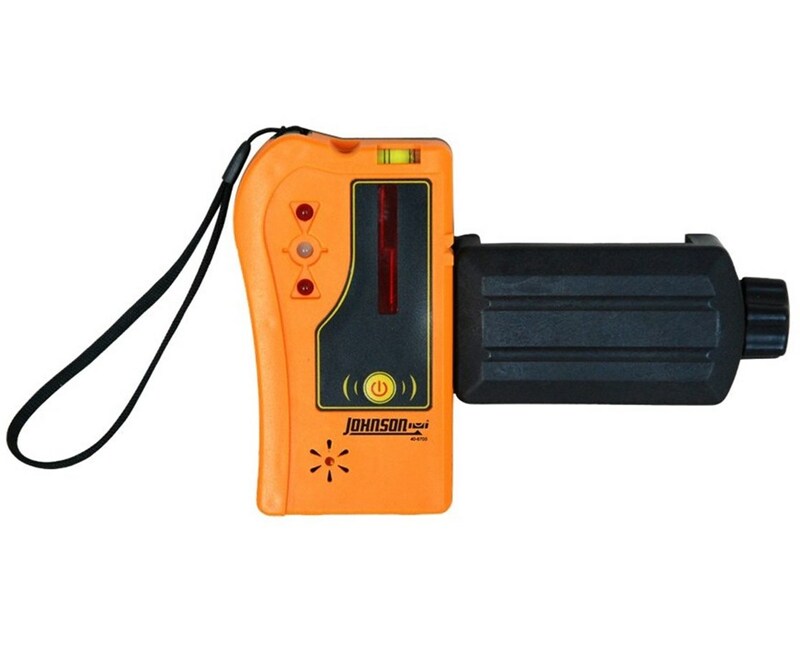 Greatly expanding the working range of any red beam rotary laser outdoors, this Johnson laser detector has bright visual LED indicators for precise leveling. This one-sided laser receiver also has audible tones for on-grade indication. 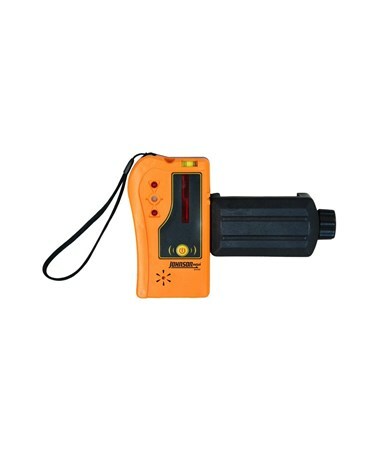 The 40-6705 laser detector features 45 hours of battery life with just two standard AAA batteries. It also has an automatic shutoff timer for low power consumption. This Johnson laser receiver package comes with a rod clamp, batteries, and 3-year manufacturer’s warranty.